Musings Of An Ink Addict: Happy Birthday! 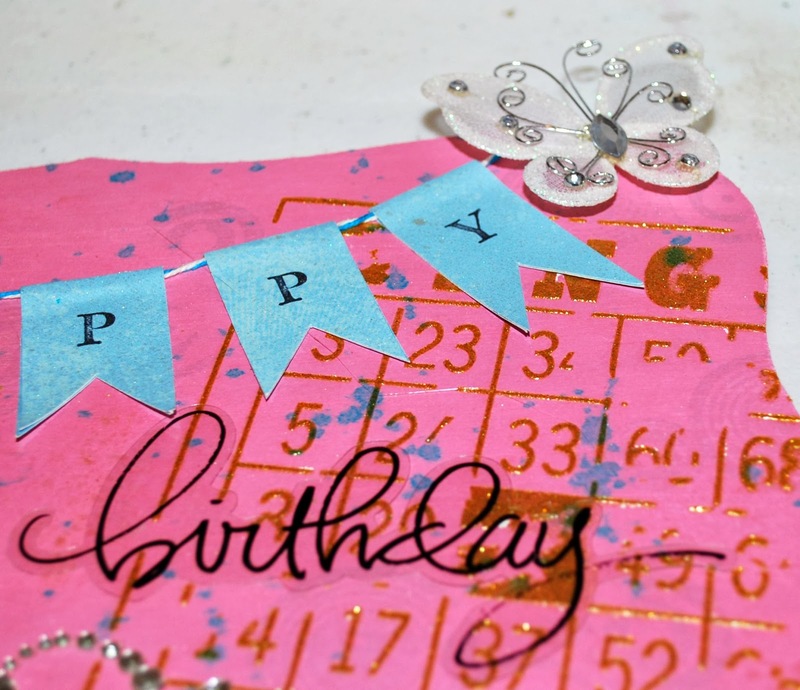 It's the first of the month, which means it's time for a new monthly challenge at Scrap It Girl. This month's theme - birthdays. 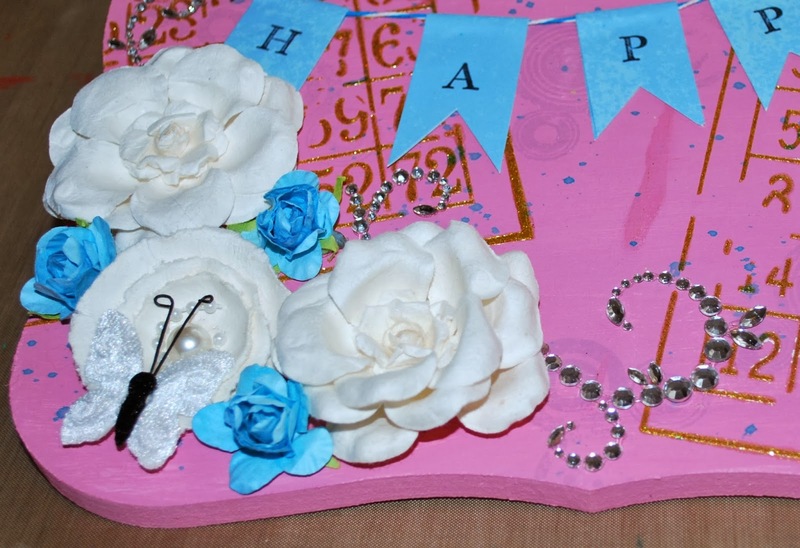 And it's the perfect theme because my oldest niece will be turning 16 (gasp!!) on the 13th. So let's get started and I'll show you how incredibly simple it is to recreate this project. 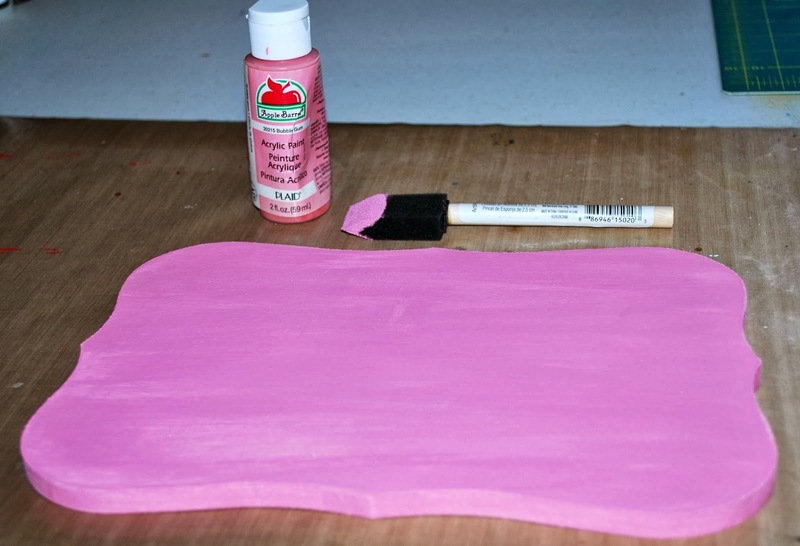 I started off with painting the entire plaque in pink. Of course, you could use any color you wanted. Set it aside to dry completely. Don't worry about paint strokes, it'll just add texture to the finished project. Next up I took a bottle of spray ink and took the sprayer off the bottle. I held the sprayer tube over the plaque and flicked the ink off. It makes nice splatter marks on the plaque. Simple so far right? 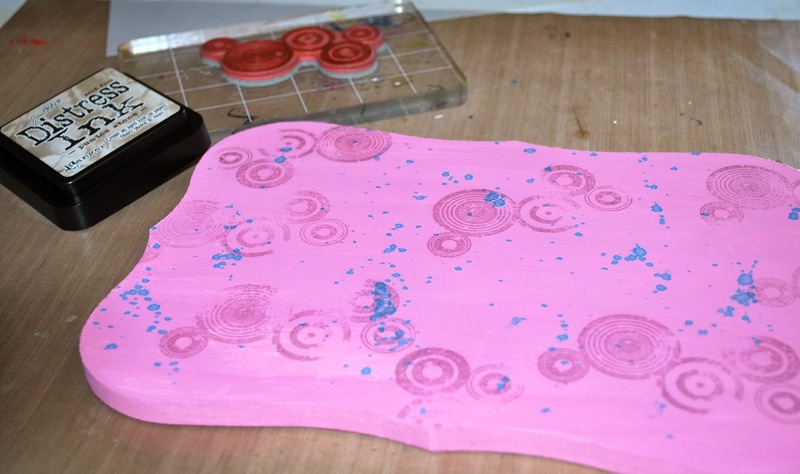 So then I chose a background stamp and ink and simply placed random stamps on the plaque. 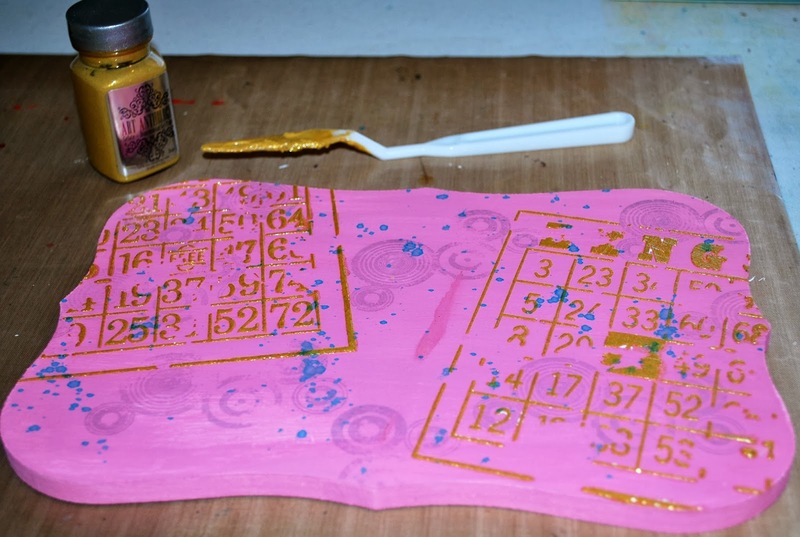 To add another layer to the background, I used a dimensional paint and stencil to create two bingo cards. Set the plaque aside to let the paint dry. Also be sure to wash the paint off the stencil and any other utensils ASAP. 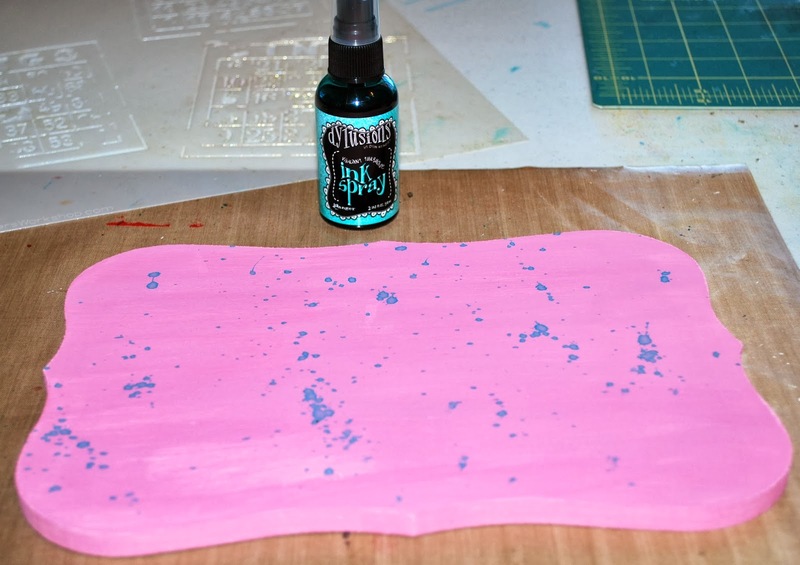 If the paint dries on your stencil or utensils, they will be ruined. Next up I created a banner. I cut a length of baker's twine, then cut five pieces of patterned paper. I simply folder the patterned paper over the twine, cut the ends, then stamped the letters. Lastly, I adhered the banner. Now for all the fun embellishments! I added in lots of flowers, a small butterfly, and some crystal swirls. 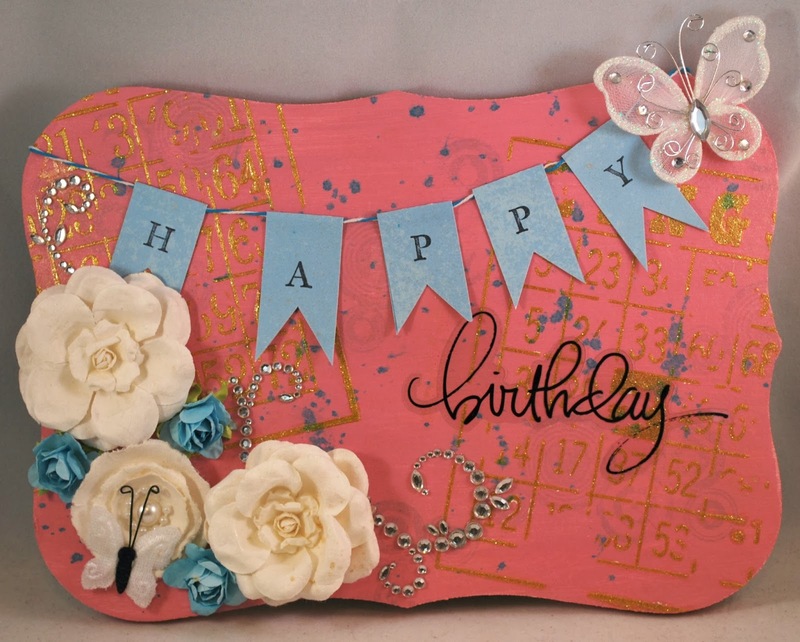 And for the last embellishments, I added a birthday sticker and another butterfly. Thank you for stopping in. I hope you've enjoyed your visit today!